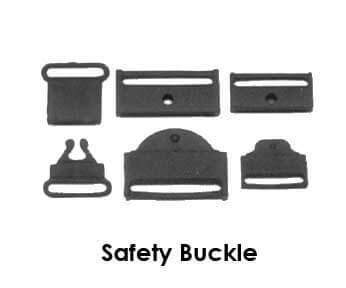 Plastic Buckles & Clips suitable for most lanyards and many other product designs. Minimum order for plastic accessories by themselves = 500 to 1000 units. 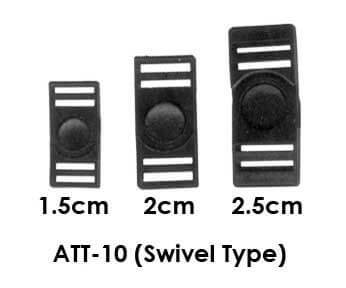 Breakaway clips are the most popular for lanyards, and are best summarised in the following model positioning arrangements. Minimises and often eliminates potential safety issues if the lanyard becomes caught while worn. Providing it is positioned correctly, the clip will automatically break off once the tension threshold is reached. Various positioning will affect the tension threshold. 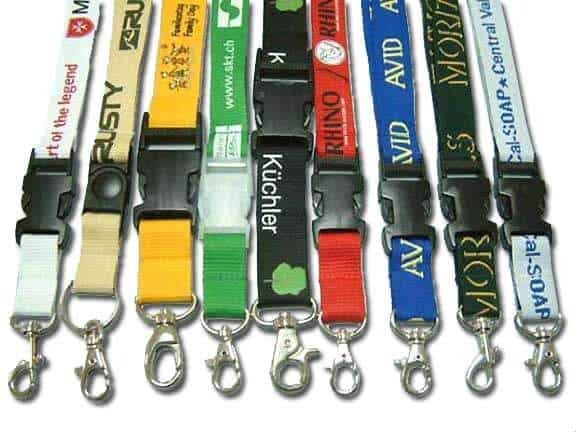 Many organisations with strict Occupational Health & Safety rules will often enforce all lanyards to comply with this design feature. 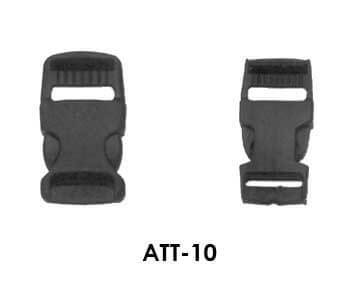 Auto release breakaway clips are best positioned near the swivel hook or a little further away from the metal clip. If it is positioned behind the neck instead, a greater tension threshold would be required for the release. Will release following human intervention. Typically located near the metal accessory. 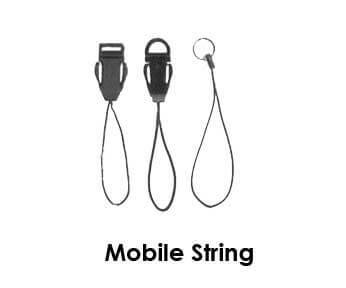 Suitable when the ID, card, keys or other component hanging requires removal from the lanyard, without requiring the lanyard to be taken off from around the neck. 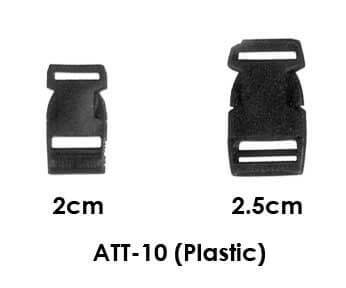 This is your superior design technique, providing the best of both worlds in safety and manual release functionality. NOTE: The following chart represents our most popular and readily available plastic attachments. Other charts should be used as a guide only, are subject to availability and have higher quantity order minimums.